There are several things that happen to you when you pray—especially when you have a LIFESTYLE of prayer. 1. Prayer makes us more like the one we are praying to (2 Pet. 1:4). There are times when we feel like our prayer life is being hindered. It’s important to know that it is often because of something in our own minds. It has nothing to do with God’s attitude towards us. He is not being distant and He is not too busy for you. I’ve noticed that God is stressed or worried. He doesn’t have anxiety. If we spend a lot of time with God and if we become more like God from spending time with Him—that means that there is an overflowing peace that comes from His presence. 2. 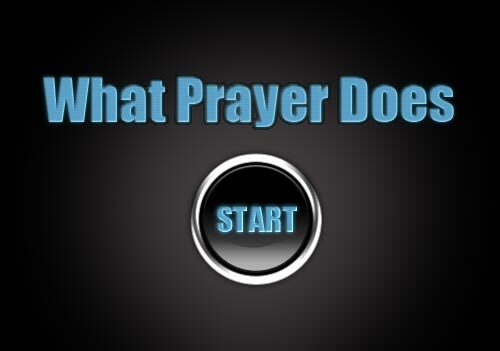 Prayer exercises our spiritual muscles (Heb. 5:14). Just the very habit of praying does something to your spiritual senses. When you are in prayer, your spiritual senses are sharp. You can hear from Heaven much better and much quicker. You can activate the gifts of the Holy Spirit as well. Just how our physical bodies can be stronger when we exercise regularly—our spiritual man becomes much stronger. We can get to a place in which we pray WITH God and not just AT God. He can literally tell us what to pray for! 3. Prayer humbles our elevated spirits. Prayer causes you to move outside of yourself. It makes you say that you need help from your creator. It makes you thankful for God. When we are in humility, God exalts you and promotes you! Through prayer, we are putting ourselves in a place of humility, which is putting ourselves in a place to be exalted. 4. Prayer elevates our broken spirits. Jesus knows that pain of life. He knows tragedy and enticement to sin, yet He is perfect and blameless and without sin. 5. Prayer energizes us (Colossians 1:29). Prayer gives us POWER! The Holy Spirit gives us POWER! 6. Prayer always releases a reward (Matthew 6:6)! Especially when you have faith that it will release a reward! The Lord is a giver by nature. He loves to bless His people. 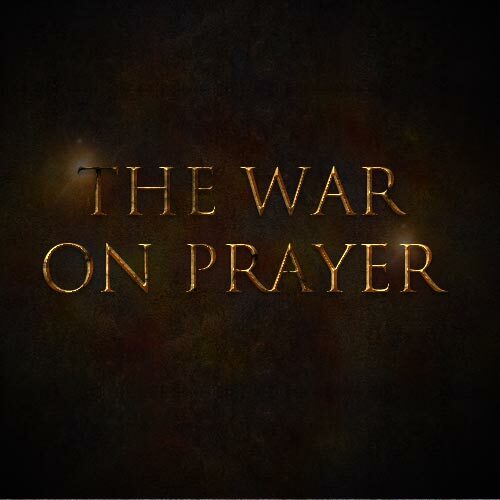 There’s a war on our prayer life—it’s a battle. And it’s hard. Sometimes, we just wake up feeling down or gray. We don’t feel like getting out of bed for some reason. We all have those days. So what do you do in those times? Well, these are the times when it is SO important to have a good, steady prayer life. Let’s get real for a second. Yes…there is spiritual warfare (Ephesians 6:12). We are in a war—however, the IT’S ALREADY WON (Romans 8:38). Satan knows that we need God’s strength to defeat him. We can’t defeat him by our own strength—that’s why there’s a war on prayer. He wants to cut our communication with our Father. • What did I eat today? Was it just junk food? • Have I had enough water today? • Am I physically taking care of the temple of the Holy Spirit AKA my body? • Have I been praying? Have I been spending time with God? It could be as simple as brushing my teeth and putting on makeup, even if I don’t have a place to go. Sometimes, all I need is a nap. Sometimes, maybe we’re having a bad day simply because we’re dehydrated. Maybe we haven’t had enough water and our body is being physically affected. Satan doesn’t follow the law. He knows that Jesus has already purchased us. He knows that he has already lost the war. But he’s sneaky and lawless and he doesn’t care about following the rules. We’re in a war! So get a warrior’s attitude! FIGHT for your quiet time with the Lord. GET JEALOUS for that time with Him.